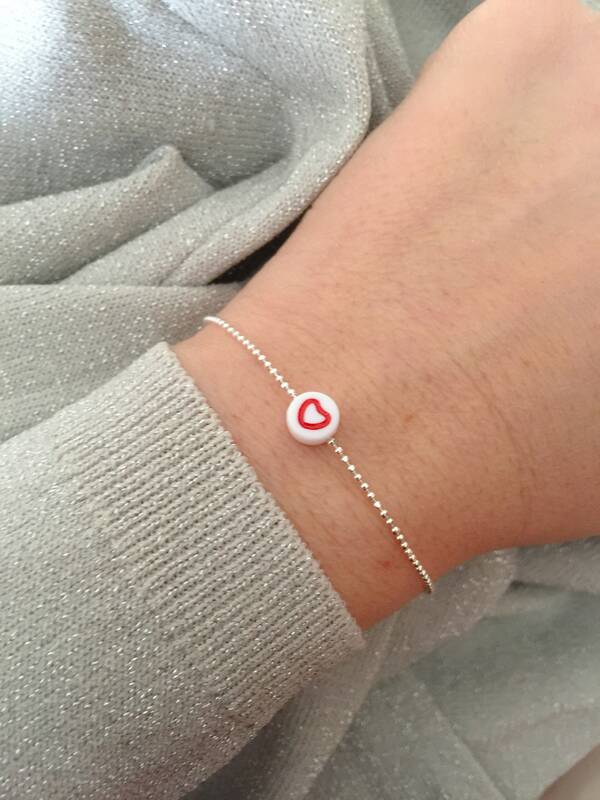 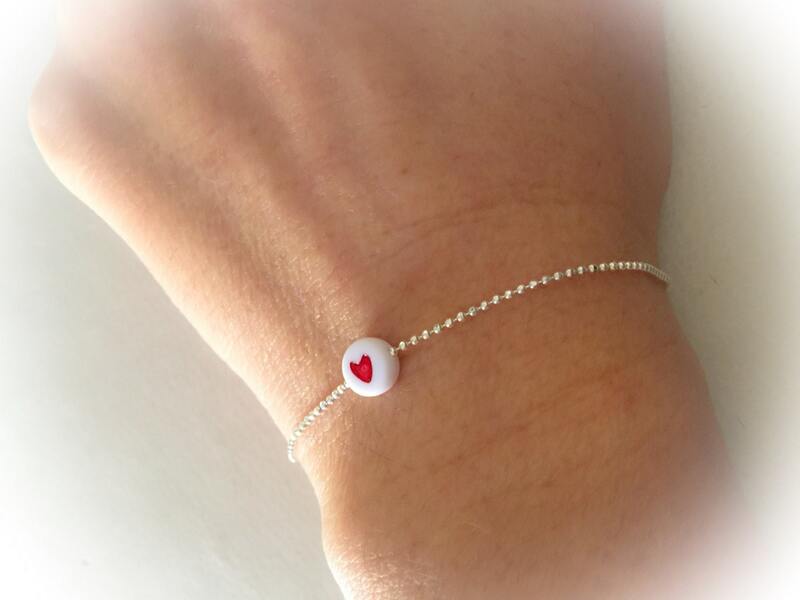 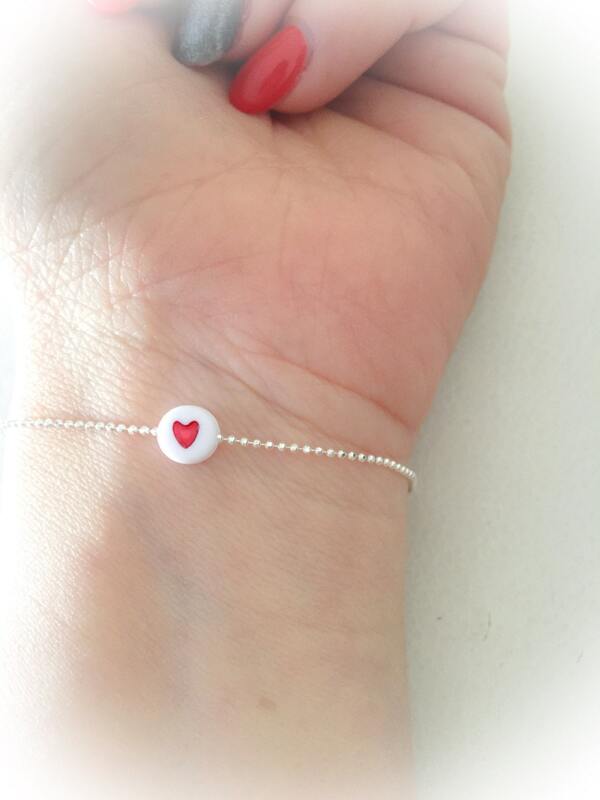 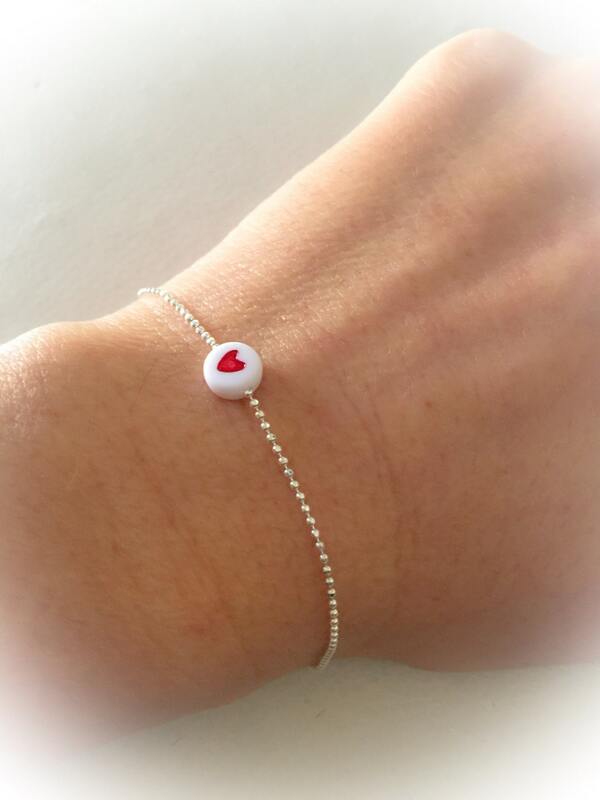 The bracelet for sale is made of silver 925 with chain with balls and small white bead with red heart. 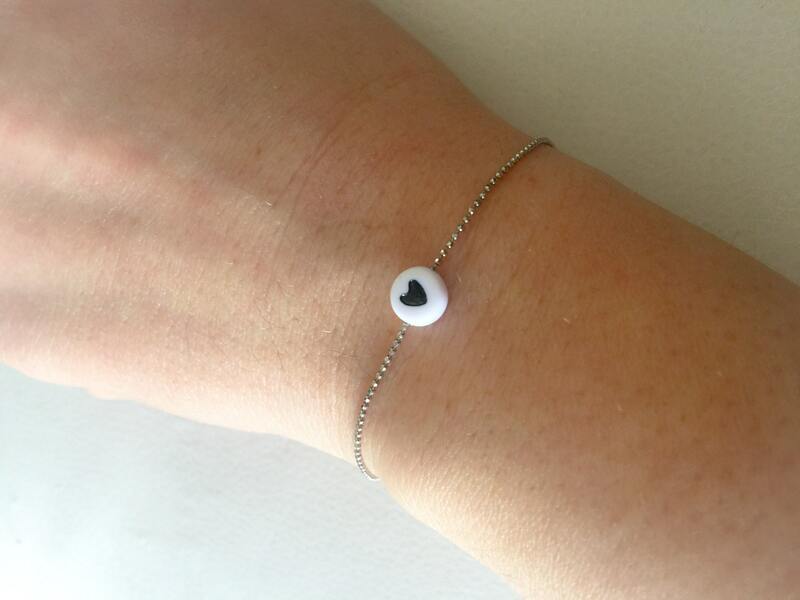 The heart is also available in black. 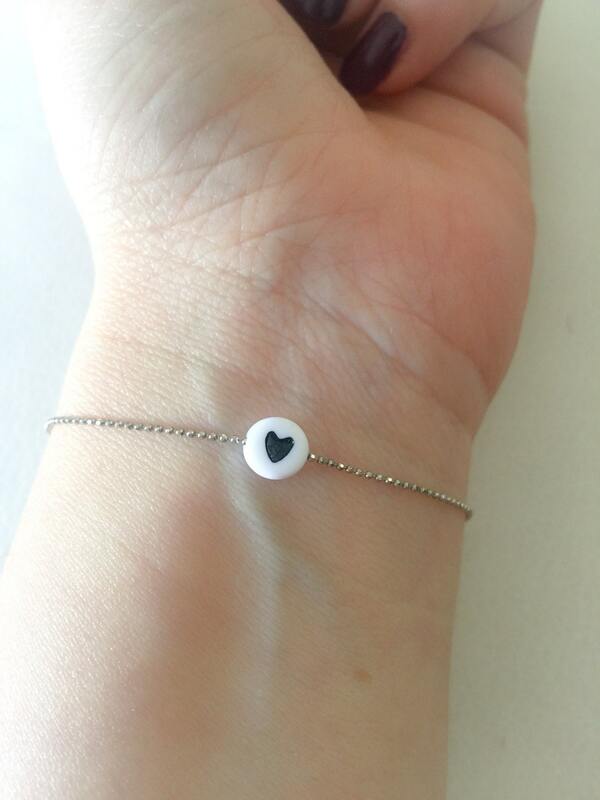 The cuff size is customized.